Congratulations to our 2017-18 Winning Team!!! 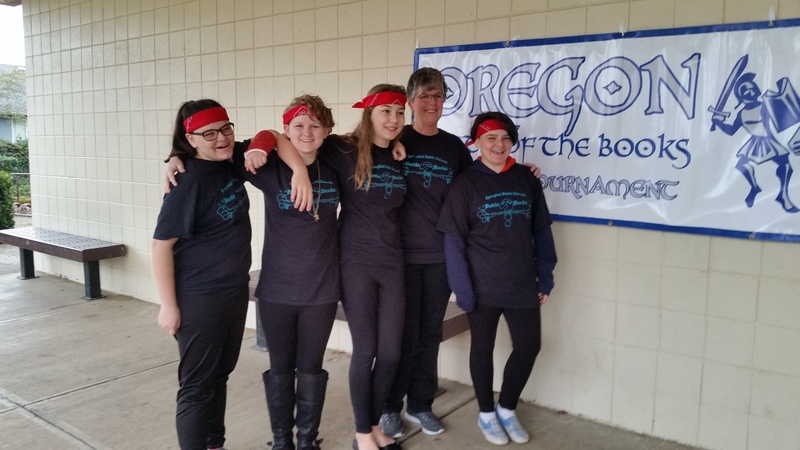 Our 7th Grade winning OBOB Team, coached by Mrs. Lessar! 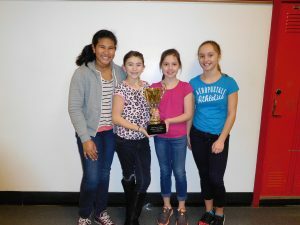 They will represent us at the OBOB Regional Competition in Junction City, Oregon. Congratulation to our 2016-17 Winning Team!!! Stephanie Lovdokken, is our winning Team! They will represent us in the upcoming Regional challenge on March 11th at Willamette High School. Congratulations to our 2015-16 Winning Team!!! 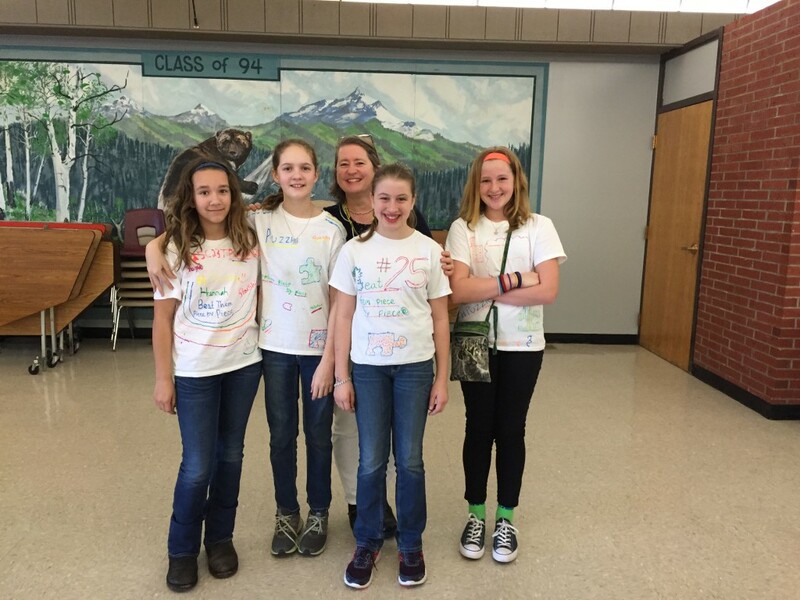 Our 6th grade OBOB team, The Puzzles, represented TMS with pride at the regional competitions on Saturday. They advanced from pool play and into round one where it took the 2nd seeded team to defeat them. They met the author Rosanne Perry and have brought back a signed copy of Written Stone for the school.